The introduction of wavefront technology is one of the most exciting advances in laser eye surgery. Wavefront LASIK involves evaluating the eye in detail prior to surgery to identify imperfections in the visual system and create a three-dimensional map of the eye. This information is later used to guide the laser that performs the vision correction. With this state-of-the-art technology, LASIK surgeons like Dr. Ernest Kornmehl can deliver outcomes that are significantly better than what can be achieved through traditional LASIK. Read on as Dr. Kornmehl outlines some of the remarkable benefits of wavefront LASIK. Traditional LASIK is highly effective in treating universal refractive errors (e.g., nearsightedness, farsightedness, astigmatism). 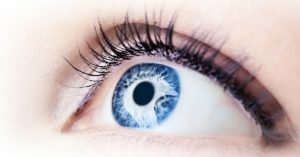 But wavefront LASIK goes above and beyond standard refractive errors — it accounts for the unique anatomy and needs of the eye to allow for a more customizable procedure. Even the smallest imperfections in the cornea can be identified and treated with wavefront LASIK. Wavefront LASIK can improve how much you see and how well you see. How well you see is influenced by higher order aberrations, or tiny flaws in the shape of the cornea that cause problems such as decreased contrast sensitivity or glare or halos at night. FDA trials show that 70 percent of patients treated with wavefront technology noticed a reduction in glare and halos at night. With wavefront LASIK, side effects like starbursts around lights and light sensitivity are less likely to occur. If they occur, they are less likely to be permanent after wavefront LASIK. FDA trials have also shown that 98 percent of wavefront LASIK patients achieved 20/20 vision (or better) one year after wavefront LASIK surgery. Could You Benefit from Wavefront LASIK? Just like traditional LASIK and other surgical procedures, wavefront LASIK has risks that should be discussed with a trusted ophthalmologist. To schedule a consultation with Dr. Kornmehl and determine whether you are a suitable candidate for wavefront LASIK, please call or email Kornmehl Laser Eye Associates today.